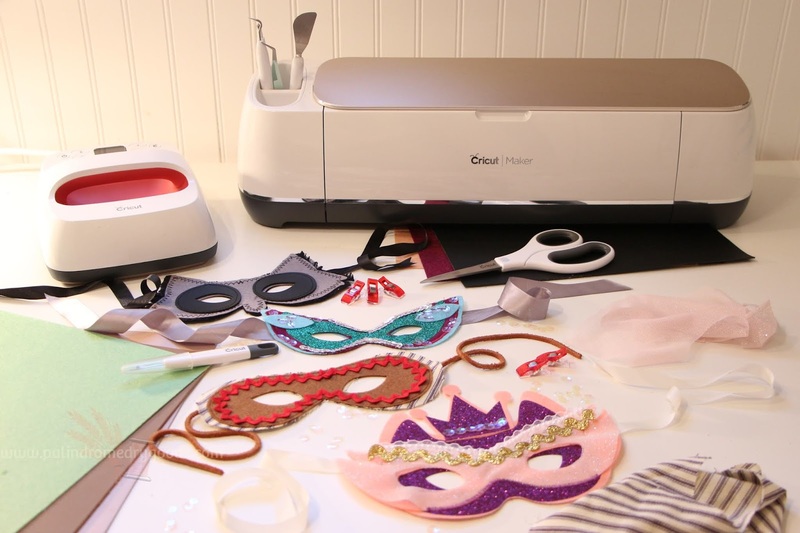 I used my Cricut Maker and the Easy Press 2 to create the adorable masks in today's post and I'm thrilled to share them with you all. 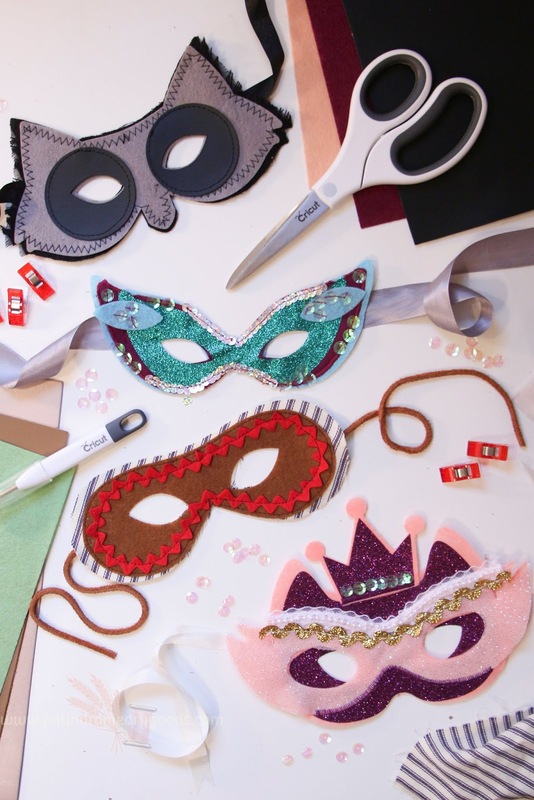 These masks were a fun, easy, sew-jo boosting project. I've been struggling with a vintage McCall's dress pattern, and these masks served as the perfect break. Each mask took me about 20 minutes to make, start to finish and I'm here to show you how you can make them too! Whether you sew or not, these projects are super easy to create. If you do sew, all you'll need are a straight stitch and a zig zag stitch. If you don't sew, the layers of these masks could easily be attached using fabric glue. 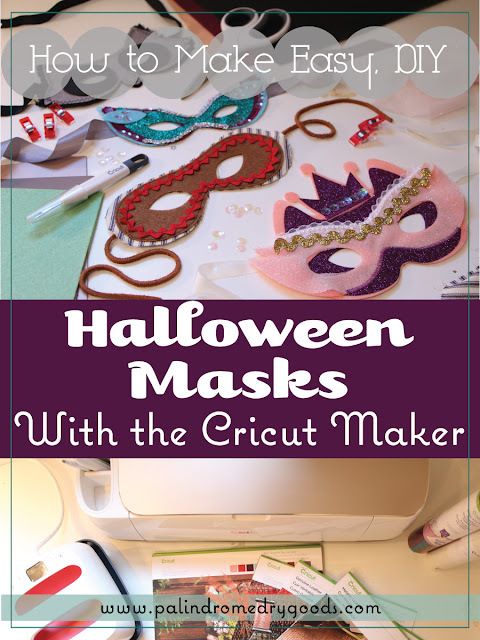 Either way, these are a fun, DIY Halloween project to do with or without kiddos. 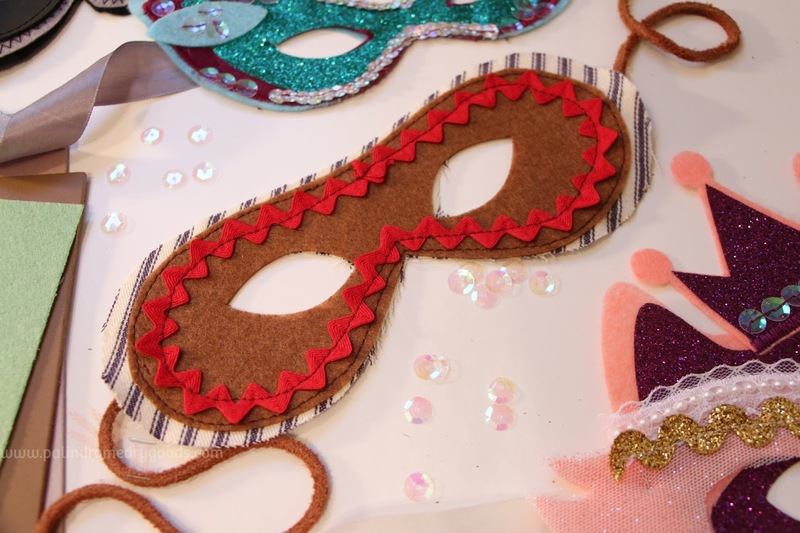 To create these colorful, textural, handmade Halloween masks, gather all the materials. 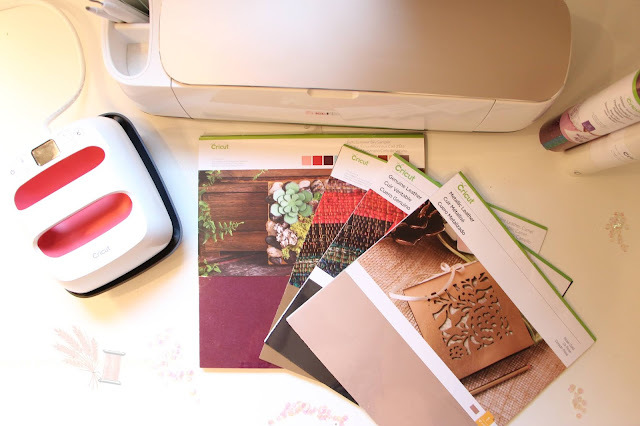 Because of the Cricut Maker's 'adaptive tool system' you can cut everything from leather to tulle - and I did exactly that. The adaptive tool system is just fancy words for the way in which the Maker applies the right kind of pressure, with the right kind of blade, to be gentle on chiffon and tulle yet slice through leather and canvas like it's butter. Don't be limited by my list! You can make your masks out of pretty much any type of fabric you can think of. In combination with the right blade (the knife blade for leather, deep point blade for felt, and rotary blade for all the other fabrics) the Maker cut effortlessly through all of them. From the flannel to the glitter iron on, each curve, straight line and point was cut perfectly. To make this mermaid mask, I used glitter iron on on top of quilting cotton, on top of felt. I used this template from Cricut Design Space. The first layer, the felt, measures 7 1/4" wide. The second layer, the cotton, measure 7" wide, and the last layer, the iron on glitter, measures 5 3/4". I used my 6" x 7" Easy Press 2 to adhere the iron on glitter to the quilting cotton and used this handy guide to determine the heat settings and time. Once the glitter iron on was adhered to the quilting cotton, I sewed a satin stitch around the edge to connect the felt to the other two layers. 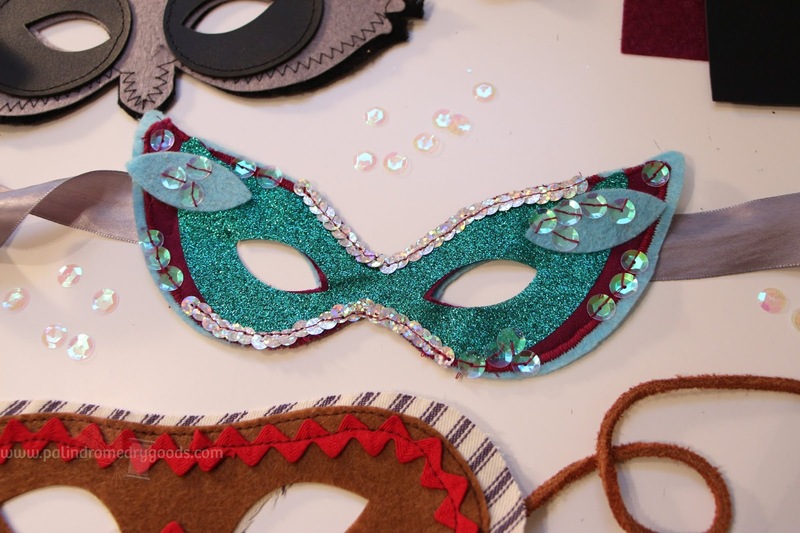 I then embellished the mask with sew-on sequins and sequin trim. To make the cowboy mask I used this template, cotton ticking, felt, rick rack and leather ties. You could use this to create a bandit, ninja or bank robber mask as well. 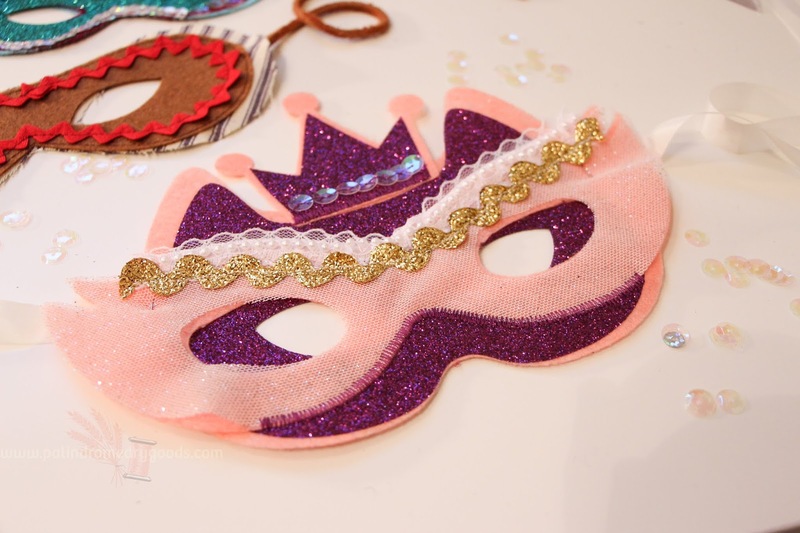 To create the princess mask I layered this template, over this template and added a crown (search #m38bc9 to find the exact one). For materials, I used felt, iron on glitter, sparkly tulle, pearl trim, rick rack and sew-on sequins. 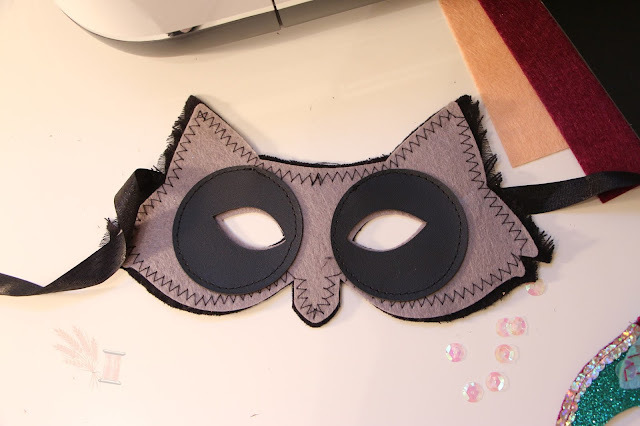 If you want to make your own Raccoon mask, you can find the templates I created here. I layered grey felt over black flannel and cut the black eyes out of leather. I ran a wide zig zag stitch through the layers to attach them and sewed a simple straight stitch around the eyes. For extra texture, I purposefully unraveled the threads of the black flannel to look like fur. As with the other masks, I simply shrunk the template down slightly for the grey felt so that it would be a hair smaller than the black flannel. 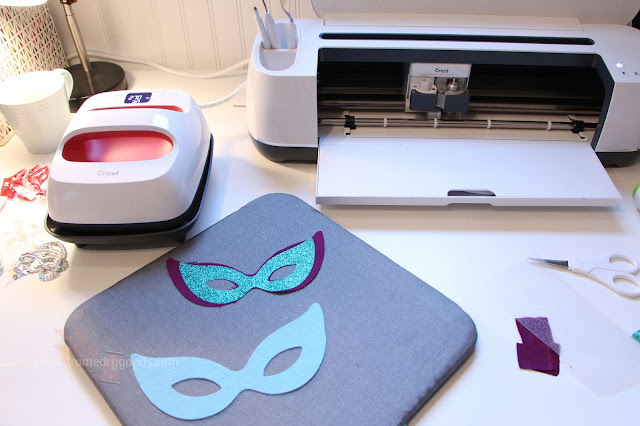 Between the Maker, the Easy Press and a few quick stitches on my Janome HD 3000 these masks were super quick to make. 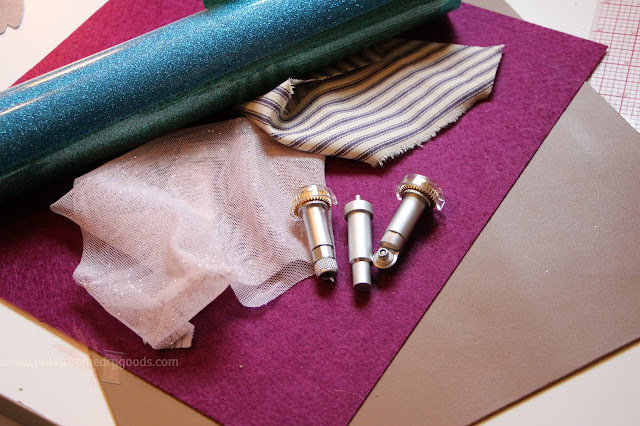 The small pieces make them a great way to to use up scrap fabric and left over trims. Plus, it's really fun to pick all the fabrics and embellishments! Happy DIY-ing readers! I hope you enjoyed today's little tutorial and will let your creativity run wild with these masks. If you end up creating your own be sure to tag me (@palindromedrygoods) on Instagram so that I can see what you made! 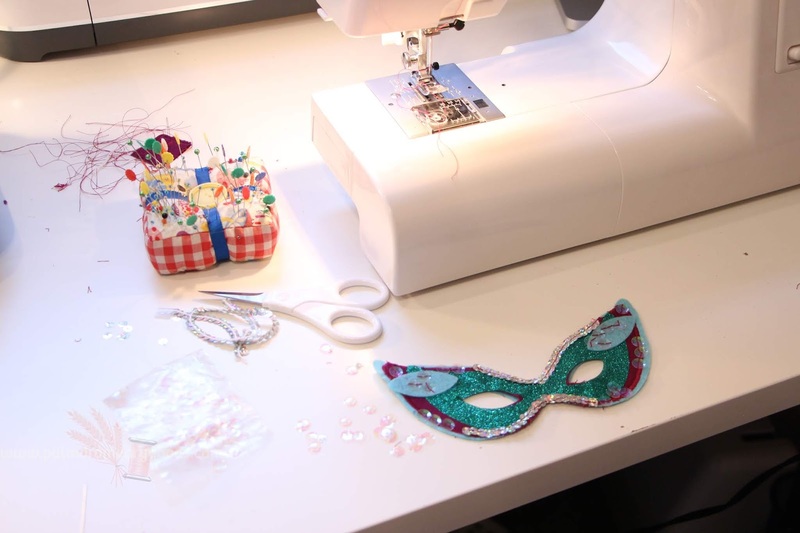 Take a Sewing Workshop with Me!